I completely built this by hand. The supplies all together cost around $300, but it was well worth it, and so much fun to wear! 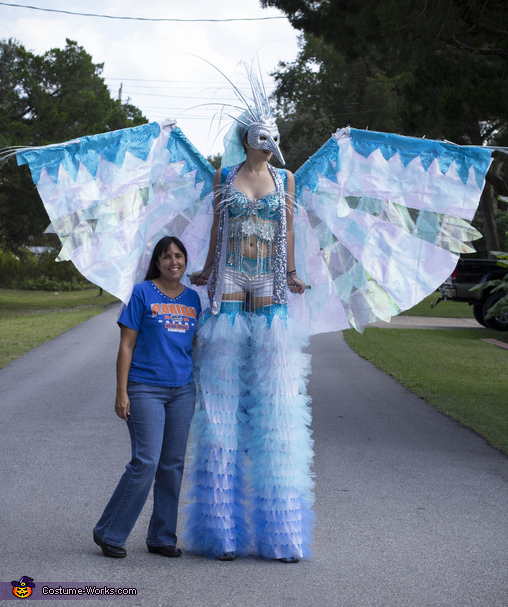 This costume is worn on stilts, has articulated wings that I built from umbrellas, and lights. This is me in the photo! I hope you enjoy the costume as much as I do. I have met lots of cool new people and had great times wearing this! Your costume is very creative!